It’s been a positive start to 2019 for urbi, with more and more people choosing to get around by urbi bike, rather than bus, train or car. By offering a free bike share service to ECU staff and students, we’re helping to change behaviours over the long run, showing people the many benefits of adopting a healthy, active lifestyle. 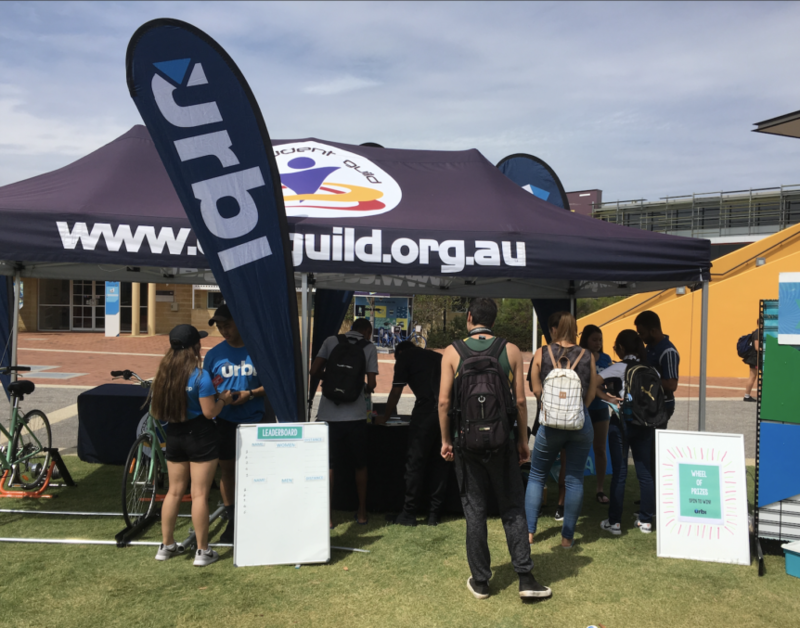 We were excited to work together with ECU Joondalup to offer staff and students even more incentive to change the way they move with urbi. On Thursday 21st March, urbi sponsored the Bike to ECU breakfast and lunch, which was free to those who cycled to campus. We didn’t just offer food and drinks on the day, either. We kept our visitors entertained with our Wheel of Prizes, our popular stationary bike race and plenty of information about our latest competition to WIN a $500 JB Hi-Fi gift voucher. For those who rode their own bikes to the breakfast, our bike specialists were able to offer free tune-ups, as well as other general advice and support. All in all, it was a fantastic way to spend a Thursday!